Not content to simply send broadcast signals into the air, the McDonalds wanted the ministry of Radio Kahuzi to make a difference in the daily lives of the listening audience in practical ways. Thanks to the partnership of Galcom International who has provided over 17,500 solar-powered, pre-tuned radios, Richard has been able to organize over 300 radio clubs throughout DR Congo, Rwanda and Burundi with well over 10,000 members. The Radio Clubs do not represent the total listening audience to be estimated at well over 10 million, but rather groups of members with regular, direct, monthly contact with the personnel of Radio Kahuzi through their elected club presidents. 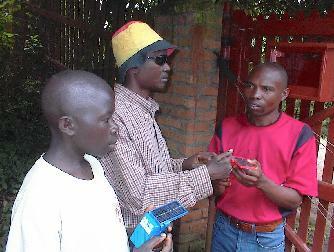 Each club is organized around one or more solar-powered Galcom radios pre-tuned to Radio Kahuzi's frequencies either in FM or Shortwave. Each of the clubs gather together to listen to Gospel music, and Bible teaching, as well as health and development programs that encourage them to participate in social work in their respective communities to improve the quality of life for themselves as well as their neighbors. Each Radio Club is required to have a project to help those who are in need. They work to improve the economic conditions in their villages and to serve the most needy, such as the blind, disabled, widows and orphans. 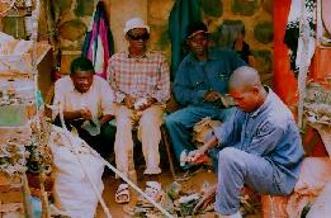 Some clubs are involved in humanitarian aid, and others promote distance learning classes through Radio Kahuzi. Many Clubs collect offerings to help the poor pay for funerals and medical expenses. The radio clubs have specific projects that they work on to improve their communities, such as digging ditches, building bridges, and assisting the local Kohorozo and Panzi Health Centers with providing for the malnourished. Each radio club elects a president who works directly with Radio Kahuzi staff to minister to their respective clubs. Each month, the club president will travel to Radio Kahuzi to bring notebooks filled with testimonies of their members, as well as prayer and song requests. Their messages are read on the air to give each member an opportunity to testify of their faith in Jesus Christ and sometimes to even find family members separated by war. Radio Kahuzi assists club members in preparing handmade items for sale in the open markets to help provide for the physical needs of their club members. If you would like to sponsor a Radio Kahuzi Club with their everyday needs, please contact our office to learn more.